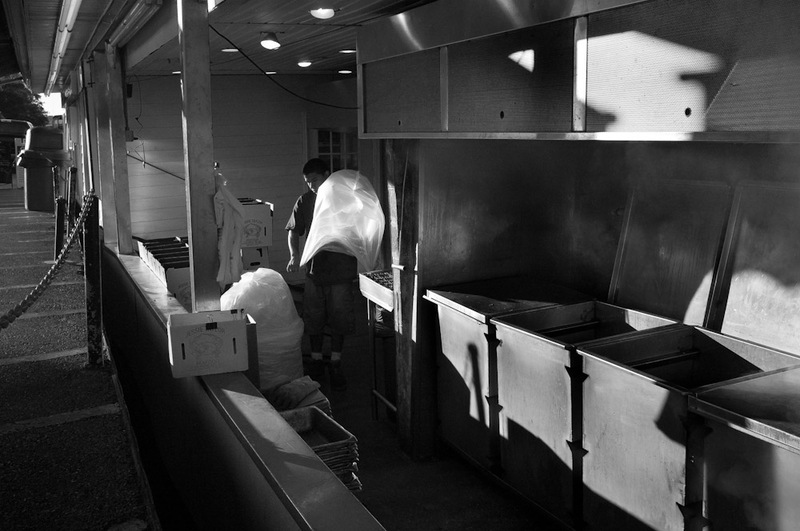 The Fish Market in Washington DC, down by the SW waterfront has been a mainstay in the city for decades. Soon, it is slated to undergo significant renovations. Here, on a typical Saturday morning at the market, fishmongers and cooks, many who have worked there for decades, prepare for their first customers.